Capt. 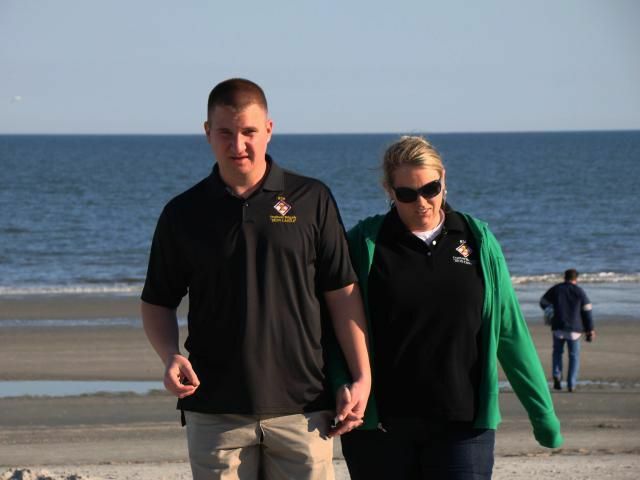 Jared Corsi, 926th Engineer Brigade and his wife, Katherine during the 81st Regional Support Command's Army Strong Bonds Retreat at Hilton Head, South Carolina. Photo by Maj. Jesse Stalder, 412th Public Affairs Office. Photo courtesy of U.S. Army. Today's military couples face multiple deployments, numerous PCS moves, training and a host of other elements related to the military lifestyle -- and that's in addition to the normal daily responsibilities of parenting, maintaining a household, community/volunteer work, managing a career and/or education related goals. Under these circumstances even the healthiest of marriages may feel strained. In an effort to help servicemembers and their spouses cope with the various demands placed on military marriages, the Army offers marriage enrichment retreats and courses through their Strong Bonds Couples Program. All of the retreats and courses are conducted by military chaplains (although none of the programming is religious) and are held in a relaxing atmosphere such as a hotel or resort. The curriculum is designed to give military couples a chance to relax and reconnect while learning communication tools and problem solving techniques. For couples, Strong Bonds uses PREP (Prevention and Relationship Enhancement Program), which is based on the idea that "many marriages fail because the coupe lacks the tools necessary to deal with important issus that come with any close relationship." Many military couples are under the impression that the Strong Bonds Couples Program is only for people in troubled marriages or those on the brink of divorce. That's not true. 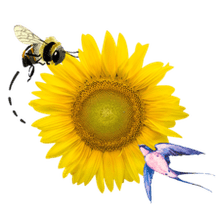 The program is designed to enhance, strengthen, and help most marriages, regardless of whether they're troubled, healthy, or (like most) somewhere in between. The retreats and courses are available to servicemembers in all branches and components (active, Reserve and Guard) and their spouses. Whether you've been married for less than a year or are about to mark your 30th anniversary, the Strong Bonds Couples Program is open to all military couples seeking to enhance and enrich their marriage. Strong Bonds also has programs for single soldiers. Since the majority of unmarried soldiers will get married while serving on active duty, the programs is designed to help them make what the Strong Bonds Single Soldier Program calls "good relationship choices." The curriculum for singles is called P.I.C.K. (Premarital Interpersonal Choices and Knowledge) or, less formally, "How to Avoid Marrying a Jerk or Jerkette." There's also the Strong Bonds Family Program, which is designed to help family members better cope with the constant cycle of deployments, redeployments, and military life in general. Is There An Attendance Fee? No. Chaplain assistant, Sgt. 1st Class Daniel L. Roberts explains, “All costs for Strong Bond retreats are borne through appropriated funds, so there is a special allocation of dollars. For marriage retreats, both the soldier and their spouse are reimbursed for travel expenses, lodging and per diem," he said in a public affairs statement released by the 108th Training Command. According to Army research, the Strong Bonds program are extremely successful. Participants have a 50% lower divorce rate and enjoy an increase in marital satisfaction. Overall, more than nine in ten participants say that the program is helpful and useful. There are several ways to locate an upcoming Strong Bonds Couples Program. Interested couples, singles, or families can check with their unit, view a schedule here, or visit the Find an Event page on the Army's Strong Bonds Web site.